From the love of my life....My son. 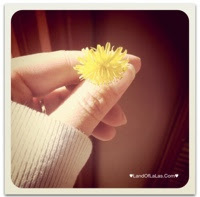 We stepped out to go to "Grainpa's house", and he picked me a dandelion. I'll never forget this flower.